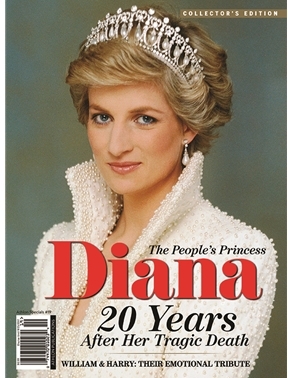 Noted for her compassion, style, charisma and high-profile charity work, as well as her difficult marriage to the Prince of Wales, Diana is generally regarded as one of the most important and glamorous figures in the 20th Century. In this special issue we pay tribute to the singular “English Rose” and revisit the events of her remarkable life in rarely seen photographs and unique and compelling stories. Additionally, we will examine the controversial events surrounding her fatal car crash, and the on-going fascination with the Royal Family.